An arraignment is the court proceeding at which a judge formally presents the criminal charges against the accused and the accused enters a plea. 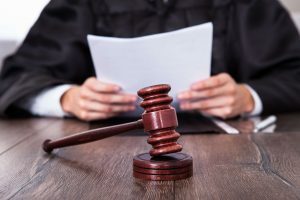 In this post, the Denver criminal defense lawyers at Wolf Law provide an overview of the arraignment process and discuss the benefits of contacting an attorney prior to arraignment. At arraignment, a judge will formally read the criminal charges against the accused (or defendant). Depending on the nature of the crime and where the crime took place, an arraignment hearing may be handled at either county court or district court. Arraignments are typically held within 24 to 72 hours after arrest. In most cases, an arraignment hearing only lasts a few minutes. If a defendant fails to appear at his or her arraignment, the court may issue an arrest warrant, which can result in jail time and fines. That said, there are some circumstances in which defendants don’t have to be present at arraignment. Defendants in some low-level misdemeanor cases may be represented at arraignment by their defense attorneys. Felony cases typically require the presence of the defendant at arraignment. You may hear the terms “advisement hearing” and “arraignment” used interchangeably, but they’re not the same thing. In some cases, an arraignment is the first time a defendant stands before a judge. More commonly, however, defendants attend an advisement hearing first. At an advisement hearing, a judge will notify the accused of the crimes he or she is being investigated for, or the charges the prosecuting attorney plans to pursue against the accused in court. The judge may also ask the accused if he or she has an attorney, plans to hire a lawyer, or desires a court-appointed lawyer. The bond or bail amount may also be set at an advisement hearing. Although the accused may learn of pending criminal charges at an advisement hearing, he or she does not have to enter a plea until arraignment. Unlike the criminal cases in courtroom dramas that play out on television, the vast majority of real-world criminal cases never go to trial. Rather, a plea bargain is reached between the prosecution and defense in which the defendant agrees to plead guilty or no contest to one or more charges in exchange for certain concessions. These concessions may include the dismissal of one or more charges, the reduction of one or more charges to less-severe offenses, or a reduced prison sentence. According to an annual statistics report by the Colorado Judicial Branch, 51,775 new criminal cases were filed in Colorado in 2017. Of those, 47,998 cases were terminated due to dismissal or through settlement negotiations (plea bargaining). During the same period, only 107 criminal jury trials took place in Denver courts. A plea bargain may be struck at nearly any stage in the criminal justice process. In some cases, a plea bargain can be reached before criminal charges are formally filed; in other circumstances, a plea deal may be made in the midst of a trial. At first glance, a plea bargain might seem appealing. Misdemeanor cases are often resolved quickly; defendants can limit or avoid prison time; fines may be reduced; and the collateral consequences of a criminal conviction may be evaded. However, a plea bargain isn’t the best option for everyone facing criminal charges. 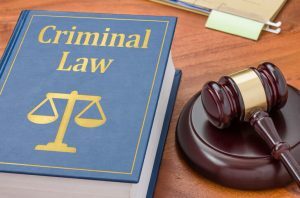 It’s a good idea to discuss the unique circumstances of your case with a knowledgeable criminal defense lawyer prior to entering a plea or accepting a plea bargain. If you’re facing criminal charges, it’s advisable to consult with a criminal defense lawyer as soon as possible, preferably prior to arraignment. If you’re being investigated for a crime or are facing criminal charges, it’s in your best interests to consult with a criminal defense attorney as soon as possible, especially prior to your arraignment. This allows your attorney time to investigate your case, gather evidence, begin negotiations with the prosecution, and make an informed recommendation regarding your plea. Evaluating a criminal plea—and potential plea bargain—hinges on several factors, including the severity of the charges, the evidence available, previous criminal charges, and the likelihood of a guilty verdict in court. Most criminal defense lawyers offer free consultations to help you understand your legal options. If you or a loved one is facing criminal charges in Colorado, the Denver criminal defense attorneys at Wolf Law are ready to hear your story. Please call us today at 720-479-8574 to arrange your complimentary consultation or contact us online to get started now. Stay informed about criminal law issues in Colorado. Follow Wolf Law on Twitter or “like” us on Facebook.